I have been reading and hearing a lot about Ministry of Crab in Colombo. 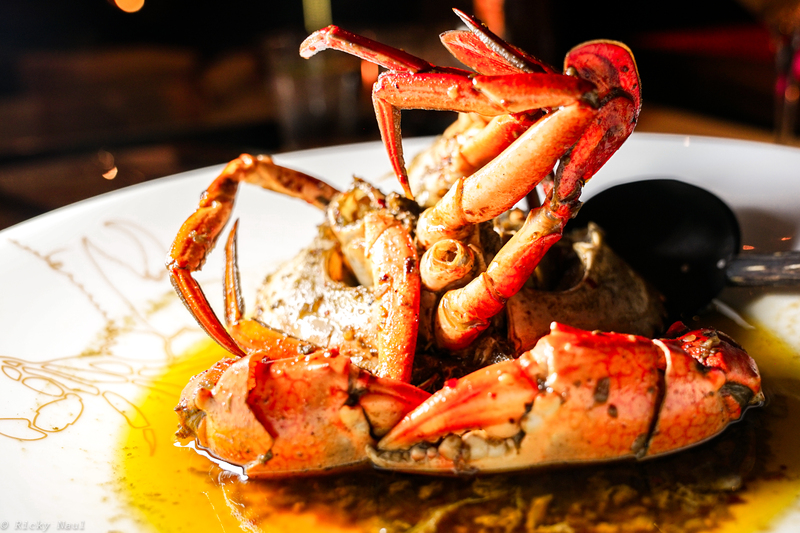 So, on a recent trip to Sri Lanka, it seemed only fitting to make a booking (well in advance) and head down, with my trusted notebook and camera in hand, to this celebration of the humble Sri Lankan crab. The restaurant is located in a old colonial compound dating back to the 17th century, now called the Old Dutch Hospital. The airy, open dining room is vibrant and has a great buzz about it. Sounds of laughter, cracking crab shells and music from the pub next door resonate through the building and one can not help but feel the restaurant before even sitting down. The hostess led me, promptly, to my table and once seated handed me the menu and went on to discuss what was NOT available. This is one of my biggest pet peeves at finer dining establishments. Rather than welcoming you to the restaurant and trying to drum up more excitement, they simply sit you down and tell you what you can not have! It’s just a very poor sales technique. Following my perplexing introduction to one of Asia’s finest restaurants, my waiter approached me and said, “Do you want crab?”. Personally, I would have preferred a ‘hello’, or even a glass of wine while I digested the menu. I decided to put an end to this lest it spoil my highly anticipated experience so I, simply and openly, said to the waiter that I was in no rush and neither should he be. That was all that was needed for the approach to change from that of a construction worker lunch time food truck to a fine dining restaurant. Obviously I was here for the crab, but I thought it best to sample a few more dishes from the creative menu. So, I first ordered the Clay Pot Prawn Curry, the self-proclaimed “best prawn curry in the country”. They weren’t wrong there at all! 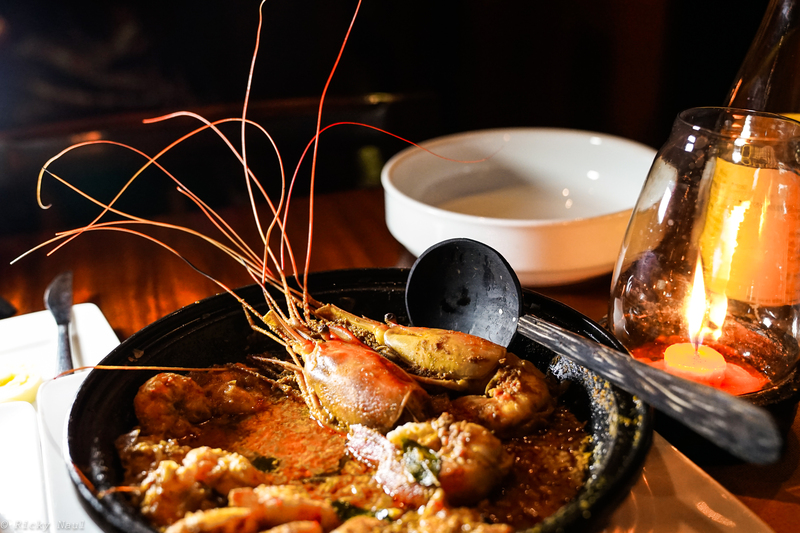 A generous serving of fresh prawns cooked in a perfectly spiced Sri Lankan curry and served with traditional ‘kade’ bread. Each juicy bite made me giggle with pure joy and once my bread for dipping was done, I resorted to dipping and licking my fingers joining the rest of the diners doing the same. This was undoubtedly the best prawn curry I had ever had. Reluctantly, I handed back my clay pot but it was time for the main attraction – crab. Sri Lanka exports most all it’s crab catch around the world. Ministry of Crab seeks to make some of that available locally where it can be celebrated and appreciated. And what a celebration it was! I ordered the Garlic Chilli Crab; a juicy fresh crab with an original blend of flavours. Olive oil, spices and soy sauce all coming together to weaken the knees of even the most discerning diner. This crab stood no chance at being consumed in a dignified manner. With my branded apron on, I just ripped it apart and was slurping, sucking and groaning like everyone else in the restaurant. 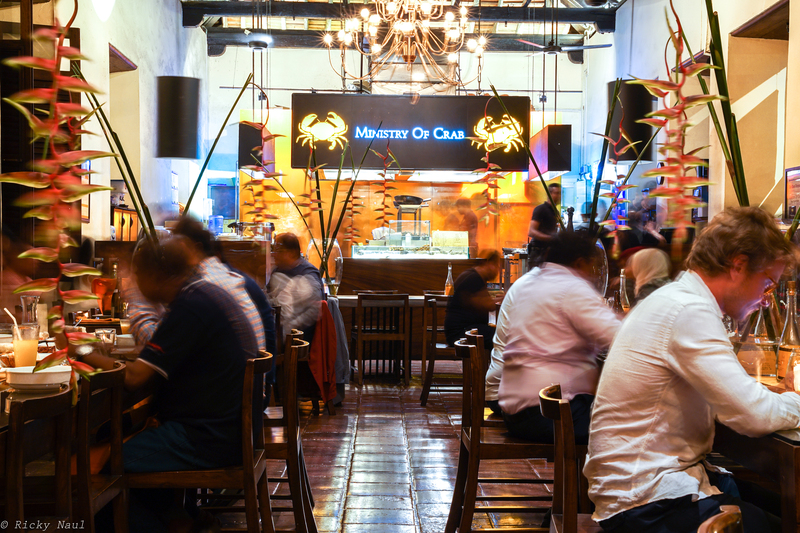 Ministry Of Crab is an ‘excellent’ restaurant. The food is outstanding with each dish being fresh, flavoursome and creative. The vibe and buzz around the dining room is tangible and not presumptuous at all. The price is unbelievably fair for a restaurant of this calibre. The only let down is the service which really needs to be brought up to the same standard as the rest of this magnificent place. However, writing this review makes my mouth water and my taste buds tingle and I swear I can taste it all again – I crave it all again!